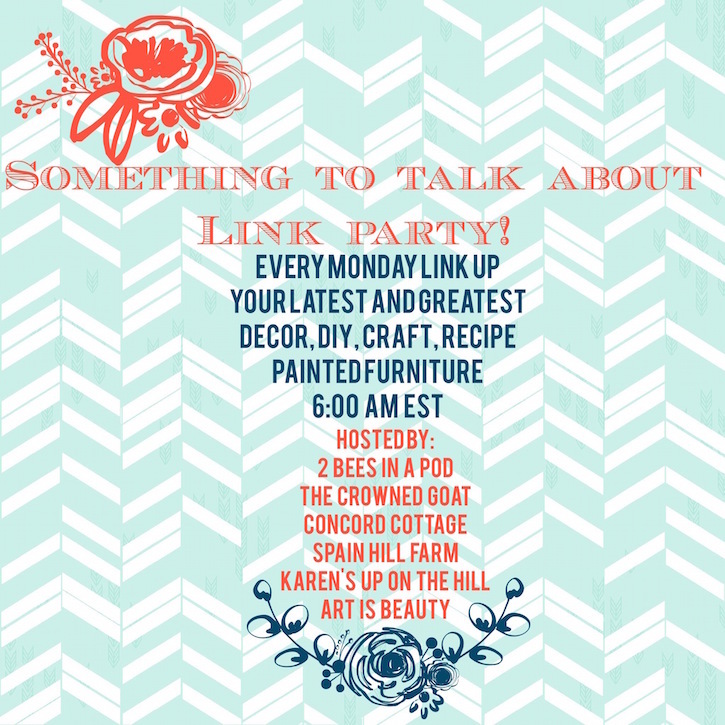 Welcome to the Something to Talk About Link Party #24! I hope you guys all had a happy weekend. 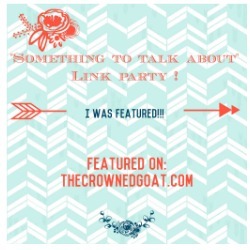 We’re so glad you’re here and linking up with us! 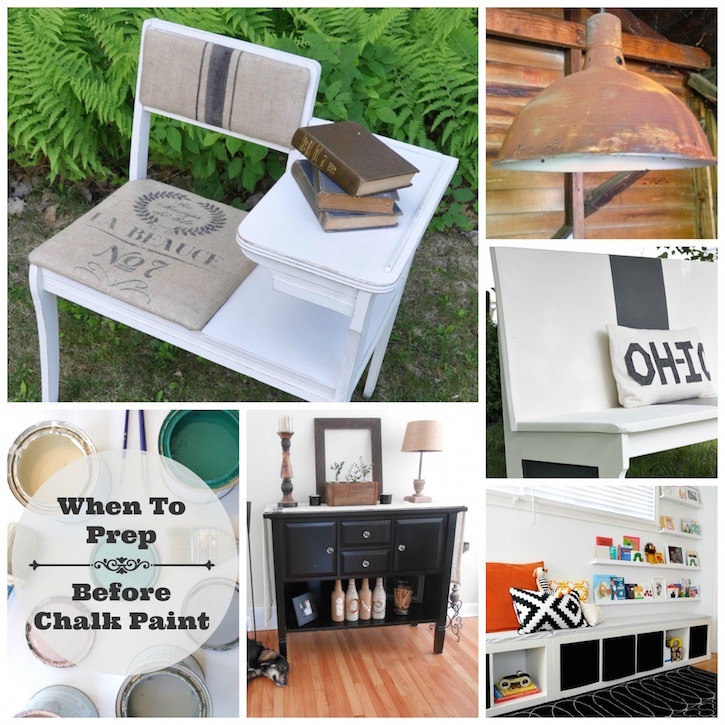 In case you missed any posts from last week, On Tuesday, we said Goodbye June, Hello July Wednesday, I shared an update of my booth at The Pickers Market. Thursday, I shared a recipe for Watermelon Basil Popsicles. Finally on Friday, I shared my 2015 Summer Bucket List. 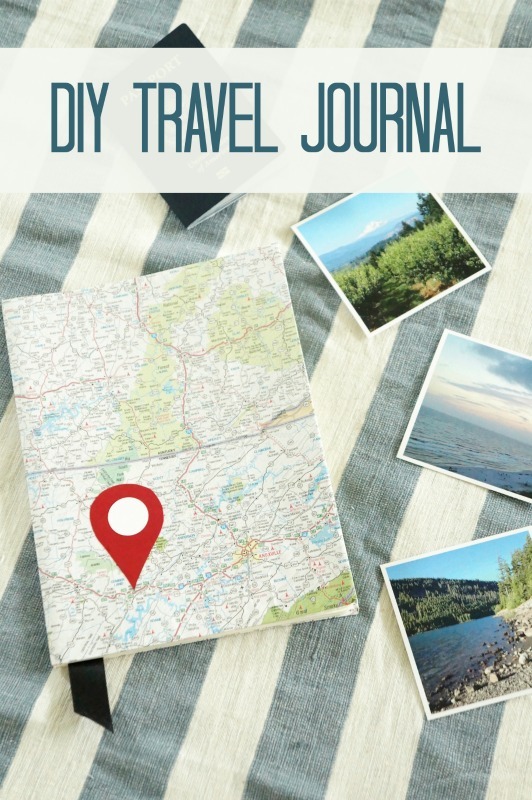 I’m looking forward to a few road trips this summer and this DIY Travel Journal from Emily of Two Purple Couches will be perfect way to keep track of each adventure. They’ll also be fun gifts to make for my travel buddies too! I love the practical solution Robin from Happy at Home came up with for her tween daughters after they outgrew their bunk beds. The planked wall that gives them each their privacy is total genius. Hey CoCo – fab features! That travel journal inspires us for our upcoming trip – we may need to create our own journals. The tweens new planked wall bed is such a smart idea! And the decor is great too! Two great features! Love the idea of a travel journal for trips, now I just need a trip to use in on! The bunk bed makeover, wow! Wish I had done that with my girls when they were young! Hope you have a great week my friend!! Coco, hope you had a fabulous holiday weekend. Thanks for hosting, I love mondays. These are fantastic features, CoCo! Thank you so much for including my travel journal 🙂 And thanks for hosting such a creative & inspiring party each week! Thanks for the feature this week, CoCo! Love seeing all the great projects linked up here.